Objective : We explored the antibacterial prescribing patterns of physicians in ear, nose and throat (ENT) outpatient and inpatient departments (OPD, IPD) of a University Hospital, New Delhi, India. Materials and Methods : A prospective study was conducted, with a sample size of 276 patients, who visited the ENT OPD and IPD over a period of 4 months. Results : It was found that 62.68% were males, 26% patients were in the age group 26-35 years, followed by 22.8% belonging to the age group 26-35 years. Maximum number of patients were diagnosed with ear (37.3%) and throat (36.2%) infections. The most frequently prescribed antibacterials were β-lactams (45.52%) followed by quinolones (26.31%). The most commonly used agent in penicillins was amoxicillin and clavulanic acid (21.74%), in cepahalosporins was cefpodoxime proxetil (5.49%) and in quinolones was gemifloxacin (14.41%). Further, 66.67% of the patients received single antibacterial drug and the average number of antibacterial agents prescribed per patient per course was found to be 1.58. It was also observed that 70.71% of the antibacterials were prescribed by oral route. The most concomitant conditions were found to be diabetes (10.5%), hypertension (6.16%) and coronary heart disease (5.07%). All the drugs were prescribed by their brand names and 48.91% patients showed good adherence with the prescribed therapy. Conclusions : The present work is the maiden drug utilization study conducted in ENT department at our university hospital. It highlighted some rational prescription patterns including less utilization of antibiotics in ENT infections, good adherence by patients and prescription by brand names. The data presented here will be useful in future, long-term and more extensive drug utilization studies in the hospital and in promotion of rational prescribing and drug use in hospitals. Purpose : This study was designed to formulate and evaluate the anti-sebum secretion effects of a topical skin-care cream (w/o emulsion) of sea buckthorn versus its vehicle (Base) as control. Materials and Methods : Concentrated sea buckthorn (H.rhamnoides) fruit extract was entrapped in the inner aqueous phase of w/o emulsion. Base containing no extract and a Formulation containing 1% concentrated extract of H.rhamnoides was formulated. Lemon oil was incorporated to the odor. Both the Base and the Formulation were stored at different storage conditions for a period of 4 weeks to predict their stability. Different stability parameters i.e. ; physical stability, centrifugation, and pH were monitored at different time intervals. Both the Base and the Formulation were applied to the cheeks of 10 healthy human volunteers (n=10) for a period of 8 weeks. Result : The expected organoleptic stability of creams was achieved from 4 weeks in-vitro study period. Odor disappeared with the passage of time due to volatilization of lemon oil. The pH of the Formulation showed significant ( P = 0.0002) decline due to high concentration of organic acids present in sea buckthorn. Similarly the Formulation showed statistically significant ( P <0.05) effects on skin sebum secretion. 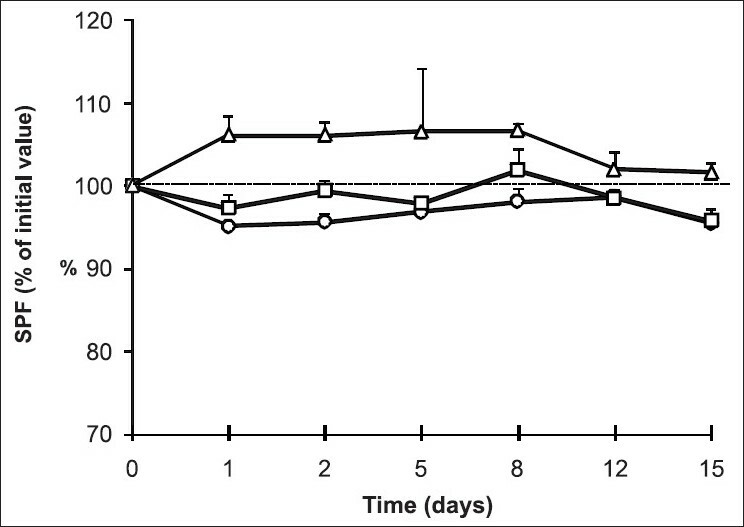 Conclusion : The in vitro results showed a good stability over 4 weeks of observation period of both the Base and Formulation and the Formulation has anti sebum secretion effects over 8 weeks of observation period. Objectives : The aim of this study was to investigate the antidiabetic activity of Crateva nurvala stem bark (family: Capparidaceae) extracts in alloxan-induced diabetic albino rats. A comparison was made between the action of different extracts of C. nurvala and a known antidiabetic drug glibenclamide (600 μg/kg b. wt.). An oral glucose tolerance test (OGTT) was also performed in diabetic rats. Materials and Methods : The petroleum ether, chloroform, alcohol, and aqueous extracts of C. nurvala stem bark were obtained by simple maceration method and were subjected to standardization by following pharmacognostical and phytochemical screening methods. Dose selection was made on the basis of acute oral toxicity study (50-5000 mg/kg b. wt.) as per Organization for Economic Co-operation and Development (OECD) guidelines. 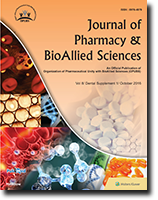 Results and Conclusions : C. nurvala petroleum ether extract (CNPEE) and ethanolic extract (CNEE) showed significant (P<0.001) antidiabetic activities. 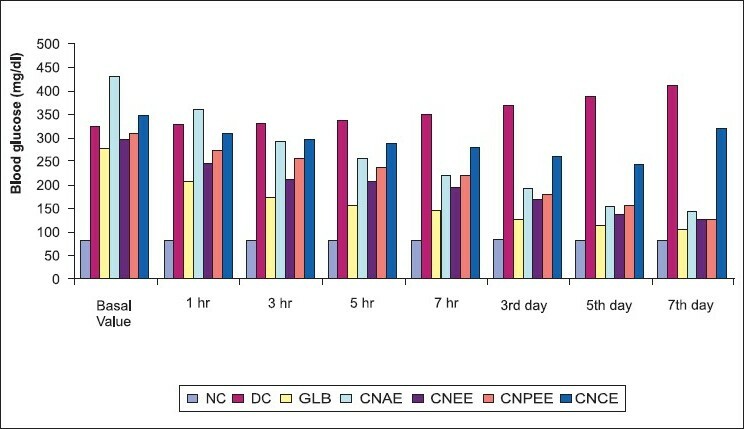 In alloxan-induced model, blood glucose level of these extracts on seventh day of study were CNPEE (126.33±13.703 mg/dl) and CNEE (126.66±13.012 mg/dl) when compared with diabetic control (413.50±4.752 mg/dl) and chloroform extract (320.83±13.516 mg/dl). In OGGT model (glucose loaded rats), CNPEE showed a glucose level of 178.83±3.070 mg/dl after 30 min and 131.66±2.486 mg/dl after 90 min, whereas CNEE showed 173.66±4.224 mg/dl after 30 min and 115.50±3.394 mg/dl after 90 min. These extracts also prevented body weight loss in diabetic rats. The drug has the potential to act as an antidiabetic drug. 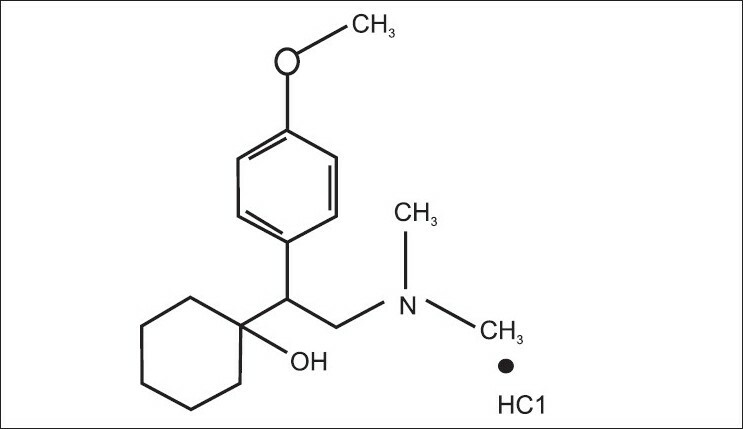 Objective : Venlafaxine,hydrochloride is a structurally novel phenethyl bicyclic antidepressant, and is usually categorized as a serotonin-norepinephrine reuptake inhibitor (SNRI) but it has been referred to as a serotonin-norepinephrine-dopamine reuptake inhibitor. It inhibits the reuptake of dopamine. Venlafaxine HCL is widely prescribed in the form of sustained release formulations. In the current article we are reporting the development and validation of a fast and simple stability indicating, isocratic high performance liquid chromatographic (HPLC) method for the determination of venlafaxine hydrochloride in sustained release formulations. 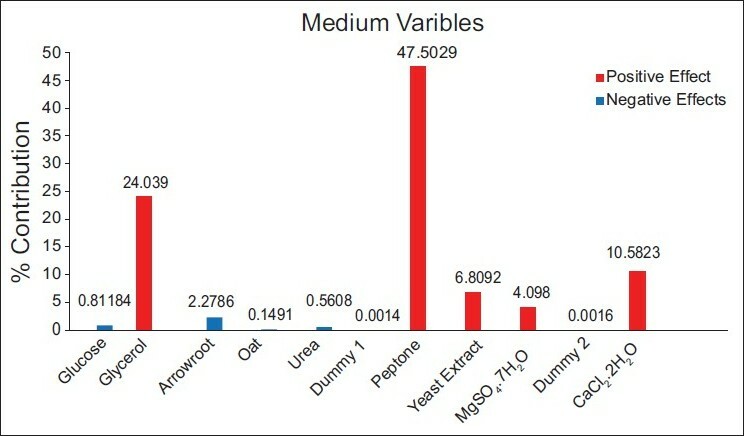 Materials and Methods : The quantitative determination of venlafaxine hydrochloride was performed on a Kromasil C18 analytical column (250 x 4.6 mm i.d., 5 μm particle size) with 0.01 M phosphate buffer (pH 4.5): methanol (40: 60) as a mobile phase, at a flow rate of 1.0 ml/min. For HPLC methods, UV detection was made at 225 nm. Results : During method validation, parameters such as precision, linearity, accuracy, stability, limit of quantification and detection and specificity were evaluated, which remained within acceptable limits. Conclusions : The method has been successfully applied for the quantification and dissolution profiling of Venlafaxine HCL in sustained release formulation. The method presents a simple and reliable solution for the routine quantitative analysis of Venlafaxine HCL. Objectives : Insulin resistance is associated with a defect in protein tyrosine phosphorylation in the insulin signal transduction cascade. The PTPase enzyme dephosphorylates the active form of the insulin receptor and thus attenuates its tyrosine kinase activity, therefore, the need for a potent PTPase inhibitor exists, with the intention of which the QSAR was performed. 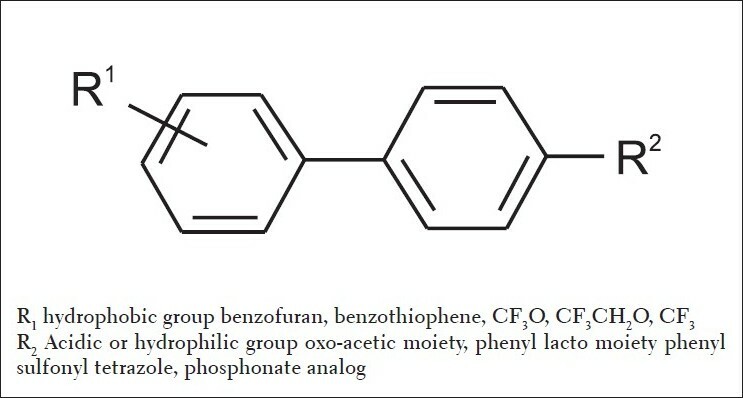 Materials and Methods : Quantitative structure-activity relationship (QSAR) has been established on a series of 106 compounds considering 27 variables, for novel biphenyl analogs, using the SYSTAT (Version 7.0) software, for their protein tyrosine phosphatase (PTPase-1B) inhibitor activity, in order to understand the essential structural requirement for binding with the receptor. Results : Among several regression models, one per series was selected on the basis of a high correlation coefficient (r, 0.86), least standard deviation (s, 0.234), and a high value of significance for the maximum number of subjects (n, 101). Conclusions : The influence of the different physicochemical parameters of the substituents in various positions has been discussed by generating the best QSAR model using multiple regression analysis, and the information thus obtained from the present study can be used to design and predict more potent molecules as PTPase-1B inhibitors, prior to their synthesis. Objective : Arterolane maleate is an antimalarial drug currently under Phase III clinical evaluation, and presents a simple, economical and scalable synthesis, and does not suffer from safety problems. Arterolane maleate is more active than artemisinin; and is cheap to produce. It has a longer lifetime in the plasma, so it stays active longer in the body. To provide quality control over the manufacture of any API, it is essential to develop highly selective analytical methods. In the current article we are reporting the development and validation of a rapid and specific Head space gas chromatographic (HSGC) method for the determination of organic volatile impurities (residual solvents) in Arterolane Maleate bulk drug. Materials and Methods : The method development and its validation were performed on Perkin Elmer's gas chromatographic system equipped with Flame Ionization detector and head space analyzer. The method involved a thermal gradient elution of ten residual solvents present in arterolane maleate salt in RTx-624, 30 m Χ 0.32 mm, 1.8 μ column using nitrogen gas as a carrier. The flow rate was 0.5 ml/min and flame ionization detector (FID) was used. Results : During method validation, parameters such as precision, linearity, accuracy, limit of quantification and detection and specificity were evaluated, which remained within acceptable limits. Conclusions : The method has been successfully applied for the quantification of the amount of residual solvents present in arterolane maleate bulk drug.The method presents a simple and reliable solution for the routine quantitative analysis of residual solvents in Arterolane maleate bulk drug. Objective : Chitinase (EC 3.2.1.14) is one of the major pathogenesis-related proteins, which is a polypeptide that accumulates extracellularly in infected plant tissue. An attempt was made to isolate and purify the chitanase enzyme using moth beans as an enzyme source. Materials and Method : The enzyme was isolated and purified from moth beans against the fungal pathogen Macrophomina phaseolina strain 2165. The isolation and purification was done in both in vitro and in vivo conditions. Purification of chitinase was carried out to obtain three fractions, viz. 50°C heated, ammonium sulfate precipitated and sephadex G-25 column-eluted fractions. The molecular mass of Chitinase was directly estimated by sodium dodecyl sulfate-polyacryamide gel electroresis (SDS-PAGE). Result : The yield is sufficient for initial characterization studies of the enzyme. The molecular study of the enzyme shows the possibility of generating the defense mechanism in plants in which it cannot occur. Chitinase was purified by gel filtration chromatography with 20.75-fold and 32.78-fold purification in the in vitro and in vivo conditions, respectively. 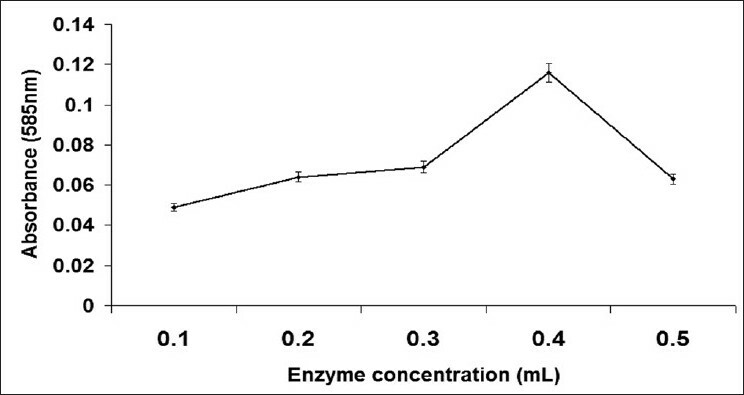 The enzyme shows a maximum activity after 90 min with 0.1 ml of colloidal chitin as a substrate and 0.4 ml of crude chitinase extract. The optimum pH of 5.0 and an optimum temperature of 40°C was found for maximal activity. The molecular weight of purified chitinase was estimated to be 30 kDa by SDS-PAGE. Conclusion : The chitinase isolated in both in vitro and in vivo conditions is stable andactive. 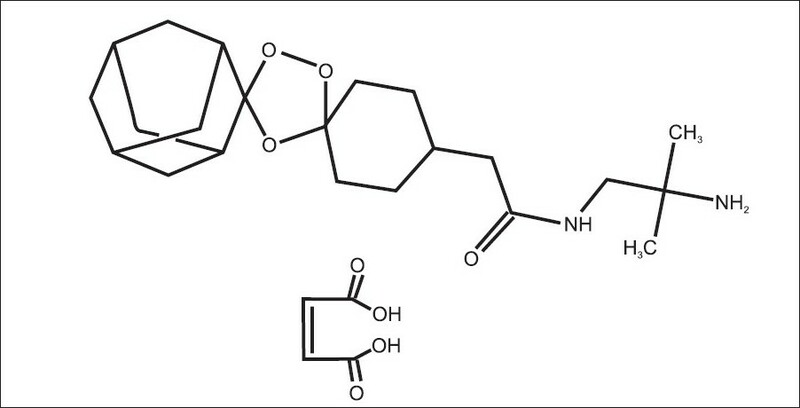 Objective : Mevastain, an HMG-CoA reductase inhibitor produced by Penicillium citrinum. The Placket-Burman experimental design was used to identify the important nutrients influencing the production of mevastatin by Penicillium citrinum MTCC 1256 under submerged fermentation. Materials and Methods : Nine nutritional parameters, such as, glucose, glycerol, arrowroot, oats, urea, peptone, yeast extract, MgSO 4 .7H 2 O, and CaCl 2 .2H 2 O were screened by Placket-Burman experimental design in 12 experimental run. Results : Nine nutritional parameters, glucose, glycerol, arrowroot, oats, urea, peptone, yeast extract, MgSO 4 .7H 2 O, and CaCl 2 .2H 2 O contributed with 0.8114%, 24.0390%, 2.2786%, 0.1491%, 0.5608%, 47.5029%, 6.8092 %, 4.0980%, 10.5823% respectively towards mevastatin production by Penicillium citrinum under submerged fermentation. Conclusion : Among the nine nutrient components glycerol, peptone, yeast extract, MgSO 4 .7H 2 0, and CaCl 2 .2H 2 O contributed to a large extent, urea had little impact, while glucose, oats, and arrowroot contributed moderately on production of mevastatin. Purpose : Amongst the radiations reaching the Earth's surface, the ultraviolet rays are the ones receiving most attention from the scientists, given their damaging potential for humans exposed to them. To minimize the harm caused by such exposure, human beings are strongly recommended to use sunscreens, which are pharmaceutical preparations containing filters that confer protection against radiation. As this protection is strongly dependent on the properties of these filters, it is very important to ensure their stability even when under aggressive conditions, such as the typical high temperatures of summer in South Europe. 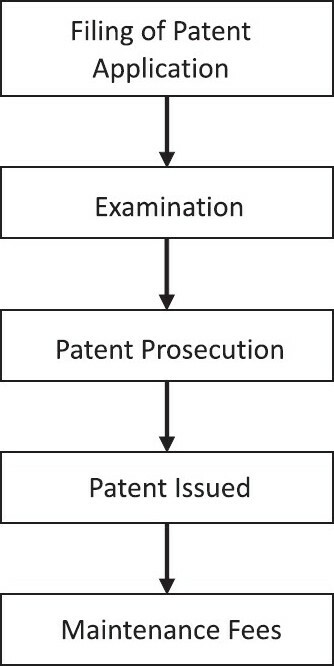 In this study, a commercial sunscreen emulsion was tested in vitro for a period of time intended to simulate a beach period of 15 days, with regard to the maintenance of its sun protection factor (SPF). Moreover, the organoleptic characteristics were also monitored by macroscopic analysis. Materials and Methods : To perform this study, temperature conditions similar to those observed from June to August in Faro (Portugal) were simulated in vitro. The SPF was determined by spectrophotometry, with subsequent application of the Mansur equation. Results and Conclusion : No significant alterations were observed during the considered period under the specific conditions of this study. Life-saving medical implants like pacemakers and defibrillators face a big drawback that their batteries eventually run out and patients require frequent surgery to have these batteries replaced. With the advent of technology, alternatives can be provided for such surgeries. To power these devices, body energy harvesting techniques may be employed. Some of the power sources are patient's heartbeat, blood flow inside the vessels, movement of the body parts, and the body temperature (heat). Different types of sensors are employed, such as for sensing the energy from the heartbeat the piezoelectric and semiconducting coupled nanowires are used that convert the mechanical energy into electricity. Similarly, for sensing the blood flow energy, nanogenerators driven by ultrasonic waves are used that have the ability to directly convert the hydraulic energy in human body to electrical energy. Another consideration is to use body heat employing biothermal battery to generate electricity using multiple arrays of thermoelectric generators built into an implantable chip. These generators exploit the well-known thermocouple effect. For the biothermal device to work, it needs a 2°C temperature difference across it. But there are many parts of the body where a temperature difference of 5°C exists - typically in the few millimeters just below the skin, where it is planned to place this device. This study focuses on using body heat as an alternative energy source to recharge pacemaker batteries and other medical devices and prevent the possibility of life-risk during repeated surgery.